In 2015, the Manhattan District Attorney’s Office created the Academy as a resource for professionals working at the intersection of law and public policy. The Academy supports ongoing criminal justice policy initiatives and also coordinates the efforts of the Office’s Legal Training Unit and Advocacy-in-Writing Program, as well as other trainings. Additionally, the Academy hosts symposia for professionals from throughout the criminal justice system, including prosecutors from other jurisdictions, law enforcement personnel, defense attorneys, judges, and researchers. Such events focus on broad and timely issues in criminal justice policy and provide a space for the constructive exchange of ideas. 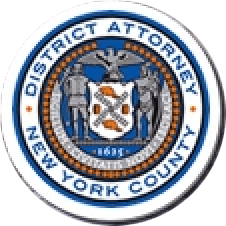 Recent Academy events include a symposium on intelligence-driven prosecution attended by district attorneys and their staff from throughout the country, as well as a symposium for prosecutors, defense attorneys, and New York City drug court judges examining the role of addiction in the criminal justice system. The Academy’s events draw on the work and contributions of leading experts in the fields of criminal justice and public policy, with the goal of becoming a leading resource for both New York City prosecutors and other criminal justice professionals nationwide. The Manhattan DA Academy has also recruited professionals to conduct trainings and present lectures on a variety of relevant criminal justice issues. Recent guests include Dr. Edward Latessa, University of Cincinnati; Dr. Jennifer Woolard, Georgetown University; Hon. William E. Jarvis, 31st Judicial District of Virginia; Dr. Ron Fisher, Florida International University; and Dr. Itiel Dror, University College London. Topics covered span a wide range including effective interviewing techniques, risk-needs-responsivity, and adolescent psychology. Every year, the Manhattan DA Academy hosts a symposium on intelligence-driven prosecution for prosecutors and law enforcement professionals around the country. In March 2018, the Academy hosted the sixth Intelligence-Driven Prosecution (IDP) Symposium. In addition to its usual sessions on Hot Spot Prosecution and IDP Replication, this year’s Symposium included panels on Alternatives to Incarceration, Re-Entry Strategies, and Law Enforcement and Public Health in an effort to highlight the broader implications and possibilities for Intelligence-Driven Prosecution. Practitioners from over fifty jurisdictions and organizations from across the country attended this year’s Symposium and were treated to a keynote address by former NYPD and LAPD Commissioner Bill Bratton. In March 2017, the Academy in partnership with the San Francisco District Attorney’s Office (SFDA), hosted the fifth Intelligence-Driven Prosecution (IDP) Symposium. The Manhattan DA’s Office and SFDA hosted the fifth IDP Symposium in San Francisco to accommodate interest among West Coast jurisdictions. Content focused on IDP basics and replication, as this was many attendees’ first exposure to the IDP model. Attendees included prosecutors and other law enforcement professionals from throughout the country and featured a keynote speech from Charles Reno of the Denver Police Department.